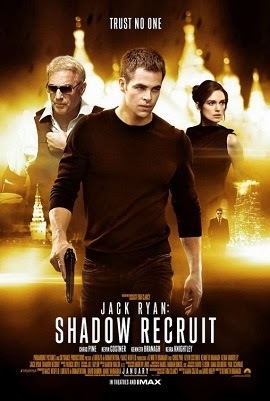 Jack Ryan: Shadow Recruit is a reboot of the classic character created by novelist Tom Clancy. The prior four movies starred actors Alec Baldwin, Harrison Ford, and Ben Affleck as Jack already established as a CIA analyst. In Shadow Recruit, we see his origins, from his motivation to join the military and his recruitment to be an undercover CIA analyst working in Wall Street. The film starts off on the slow side as we see Jack (Chris Pine) in college and dropping that to join the military and eventual recruitment by Thomas Harper (Kevin Costner). The movie does hit its stride until Jack is in Russia to investigate a company with hidden accounts. The company which is run by Viktor Cherevin (Kenneth Branagh) has plenty to hide as he is planning both a terrorist attack on US soil and planning to set off a collapse of the US Currency simultaneously. Chris Pine whom I adore as the current Captain Kirk in Star Trek does a great job as Jack Ryan. But if you're more familiar with the older movies than this Jack will be quite a change for you. This Jack lacks the confidence given his youth but has fight in his young body despite it being broken to pieces. With rehabilitation and a renewed sense of purpose in a nurse and a mysterious CIA agent, Jack joins the CIA. Chris does an excellent job in expressing the emotions of a Jack out of his elements. Kevin Costner's character on the other hand is not too useful other to pop up now and then. 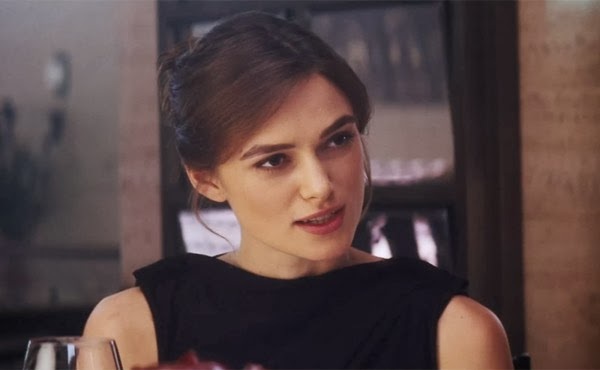 Keira Knightley who plays Jack's girlfriend Cathy lacks the strong fortitude that you would hope from the female lead. Is it just me or does Kenneth Branagh remind you of Kevin Spacey as well? He makes an excellent villain in this movie similar to what Kevin was, as Lex Luthor. Overall, I enjoyed the film and would recommend it. If they continue to make additional films with Chris, I would love to see more of the thought provoking analytic side of Jack than turning him into an action hero like Bourne. With his origin out of the way, hopefully in the future films we can get a nice consistent fast pace film from beginning to end. I have never read the Tom Clancy novels, however this movie is not based on any particular book.